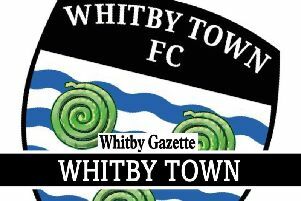 Whitby Town surrendered a 1-0 half-time lead, losing 4-1 on the road at Gainsborough Trinity. The Blues led with just a minute on the clock, Matty Tymon heading the away side into the lead. Town's lead was intact at the interval, but Trinity levelled seven minutes into the second half and then took control of proceedings. Alex Simmons hit two for Trinity, with Ross Hannah and Shane Clarke their other scorers.